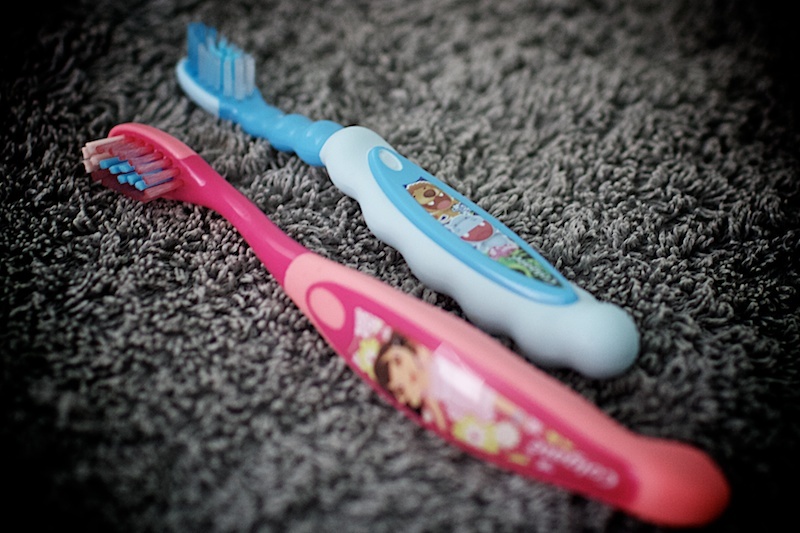 Little Miss and Bubba Girl have new toothbrushes … no big deal, think you. I thought it was no big deal either, but you should have seen them in the supermarket, carefully selecting which one would be theirs. You should have heard them ‘pretend brushing their teeth’ the whole way to the checkout. (You probably did … they were loud!) You should have seen how carefully they unwrapped and placed those new toothbrushes in the bathroom, and when they finally got to use them, the smiles were big (and clean and sparkly). The checkout lady said to me “getting new toothbrushes was such a big deal for me as a child”. And then I remembered it was a big deal for me too, and Mr remembered it being a big deal for him too. And somehow we have lost that, the wonder and the excitement in the little things. The ability to celebrate a new toothbrush. That’s one thing I love about being a parent. That we are not the only teachers in this family, and the girls aren’t the only learners.